ONE-OF-A-KIND OPPORTUNITY in the desired Sylvan Lake Reserve. This magnificent LAKEFRONT home on SYLVAN LAKE is a must see! The home nicely sits on 2.9 acres of land. Located in the sought-after Sylvan Lake Community, this unique home has 5 bedrooms, 4 1/2 baths and 3,019 sqft. 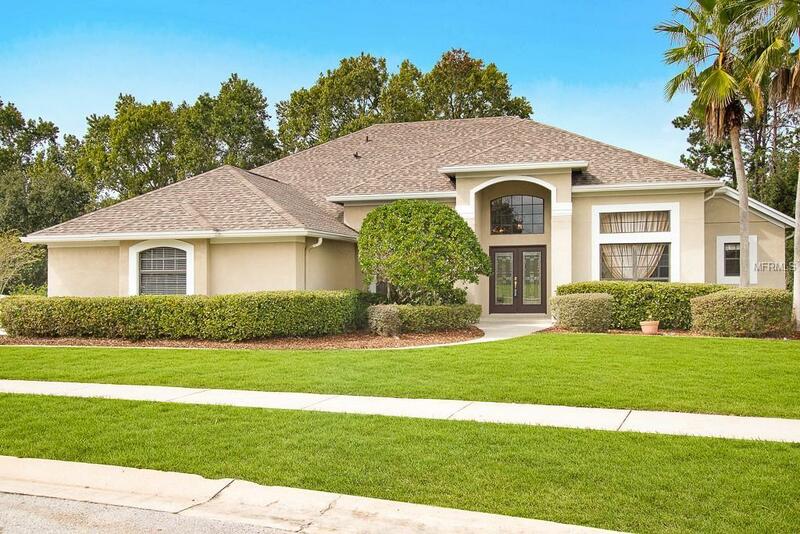 A brilliant floor plan as you walk through the large foyer passing the separate Formal Living and Dining areas and into the large Family Room. The large family room overlooks the pool and patio area which is so serene, no matter the season, overlooking the tranquil natural habitat. The screen enclosure and elevated patio area also overlooks the pool, giving a generous amount of space to splash around in the pool without splashing those relaxing on the elevated patio area. While on the patio, access the large master bedroom though a glass sliding door. The direct access and split floorplan give one the opportunity to disappear in the Master Bedroom without the interference of activity from the common areas and other bedrooms. In addition to the NEW ROOF, NEW A/C, NEW WATER HEATER, and REVERSE OSMOSIS DRINKING WATER SYSTEM, the Seller is willing to CUSTOMIZE THE HOME TO THE BUYERS SPECIFIC NEEDS. This is a MUST see!